The poker room at BetOnline was established in 2004 and has quickly become one of the premier online poker site worldwide and especially for U.S. players. 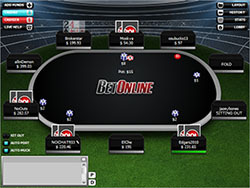 Their connection to the BetOnline brand means that a player can also play live casino games as well as bet on sports at the BetOnline Sportsbook. This top brand has exploded in the last couple years and has become a one stop shop for all your gaming needs. BetOnline offers its players over $250,000 in guaranteed prize tournaments throughout the week. In addition to the guaranteed prize pool tournaments, they spread SNG’s, or Sit N Go’s, around the clock. These are often 1 table tournaments that start soon as there’s enough interest for a full table. This can range from seconds on busy days to minutes at slow times. BetOnline offers its players a wide array of daily, weekly and monthly promotions. 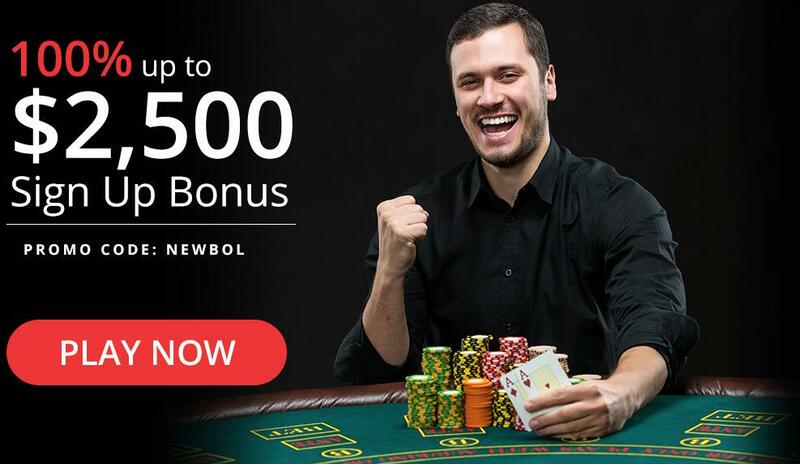 In addition to its very generous deposit bonuses they have a Bad Beat Jackpot, Freeroll tournaments, and weekly player cash incentives for all types of games. A full list of these promotions can be found on their Poker Page. Just like the sportsbook section, the BetOnline Poker room offers all its players with many quick and easy deposit methods including Bitcoin and credit card. Bitcoin: Of course my favorite method for depositing funds because its easy and speedy, not to mention that there are no fees associated with Bitcoin deposits, putting more of your money to work for you. You can deposit anywhere from $20 – $25000 with this method. BetOnline also offers special deposit bonuses up to $1000 for those choosing to deposit by Bitcoin. Online sportsbooks like BetOnline are among the leaders when it comes to the Bitcoin and gambling relationship. Credit Card: BetOnline Poker room accepts Visa and Mastercard deposits. The deposit requirements for both these cards are from $50 up to a max of $5000 and the processing usually takes just minutes. BetOnline has a great variety of ways to collect your winnings. Receiving your money is the most important thing behind winning it in the first place. Yes! BetOnline has made it possible to play poker from any where while on the go with their mobile app. 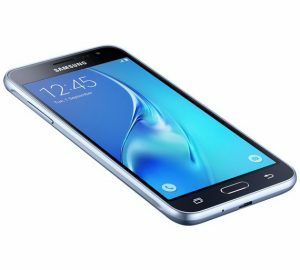 It works on both Apple and Android devices. The poker room at BetOnline is definitely my favorite online poker site, and where I personally hone my skills. 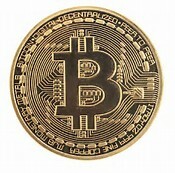 They have the best Bitcoin deposit bonuses, great game selection, soft tables ( in my opinion ), and reliable payouts. You can find a game here 24/7, so you’ll never have any excuses not to play. The graphics are great, the software runs smoothly, and the site is very easy to navigate. So the next time you get the itch to be dealt pocket Aces ( odds are 220 to 1 ), I highly recommend giving the poker room at BetOnline a try for all the reasons I’ve mentioned above. Thanks for reading and RUN WELL!